How Long Does Oxycodone Stay in Your System, Blood, Urine? Oxycodone obtained from thebaine belongs to the opioid family being semisynthetic. People use the drug for relieving pains as an opioid substance which occurs in the famous Persian poppy. Oxycodone has grown in popularity, especially for its use as a painkiller. How long does oxycodone stay in your system? In most instances it’s connected to your frequency of intake, your hydration level, your body mass and weight, and your height. Other factors that go a significant way in determining how long oxycodone stays in your body is how well your kidney and livers are working, how acidic or alkaline your urine is and other others. The amount of time oxycodone is going to stay in your system depends on many factors. One major determinant of the length of residence of oxycodone is your metabolic rate. If the subject’s body processes materials fast, then oxycodone is sure to leave your body in shorter time relatively. Other determinants could be their body mass, the hydration level of the individual. Let us take an extensive look at these factors determining the length of time oxycodone stays in a body. How long oxycodone stays in your system is also connected to the functionality of your liver. There are a selected group of enzymes in the liver with enhanced capacity to remove oxycodone from the system. The amount of protiens in a person’s liver contributes to how long oxycodone will stay. In most normal circumstances, the amount of this enzyme in your body depends on your age, as younger people have an increased amount of this enzyme particularly. Aside from this, age has a significant role to play. If you are old, you will not be able to excrete drugs at the pace of a younger person. It is understandable as being advanced in age could weaken the effectiveness of your kidney or liver. Overall, this would eventually slow down your metabolic process. Your weight and body mass is also important. Fatty tissues have an increased probability of retaining chemicals when measured against lean muscles, which is why carrying more fat may translate into the slower passage of this drug. The more hydrated you are, the bigger the chances that oxycodone will clear quickly. Another contributor is your urinary pH. So, when there is more alkalinity in your urine, it becomes more likely that oxycodone will remain in your body before it clears. Lastly, one important factor that essentially dictates how long oxycodone stays in your system is the regularity of ingestion. How often do you take oxycodone? Certainly, if you are the type that has been taking it for a while, there is the possibility that it could accumulate in some parts of your system. Also, if you had taken it in a high quantity, the drug could take a longer time to leave your body. So, How Long Does Oxycodone Stay in Your System? There are a variety of tests to confirm the presence oxycodone in your system. Now all these tests have their various duration (after ingestion) where they would pick out oxycodone if it so exists in your body. Let us look deeper into this. Your blood will test positive for oxycodone 24 hours after you have taken it in. Such blood tests for oxycodone and its metabolites come in useful during tests for abuse of the drug, even up to clarifying poison claims in a death investigation. Although a single human hair strand may not tell you sufficiently about whether there is oxycodone in your system, your hair goes a long way in proffering information on how much of the drug you took in the previous 90 days. One major passage medium for oxycodone (and its metabolites) out of your system is through your urine and your sweat. In the case where your kidney has issues, we should be expecting a lot of oxycodone in your system. Fundamentally, oxycodone could stay in your urine for about 3-4 days after ingestion. The saliva test is one quick test to check for the presence of oxycodone in your system. Oxycodone shouldn’t stay more than 4 days in your saliva. 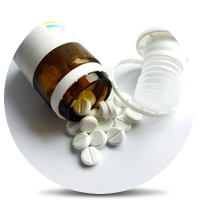 Oxycodone is used most often as a pain reliever. Here’s how oxycodone works: after administration, it goes on to disrupt the transmission of pain signals through your central nervous system. With this in place, when you now ingest Oxycodone, your system functionality loses the capacity to transmit that pain signal to your brain. Your urine has a principal role to play in the metabolism and ejection of oxycodone. Metabolism of this substance takes place majorly in your urine as conjugated metabolites and as unconjugated metabolites. The time it will take oxycodone to metabolize to 50% or even less at somewhere around 4 hrs. 30 minutes. When you take oxycodone, it is metabolized into noroxycodone. This metabolite circulates your body after the oxycodone is oxidized by the enzyme CYP3A4/5 in the process of N-demethylation. The peak level is when the effects of oxycodone are at their highest level. Still, the peak level of oxycodone varies among individuals especially in correspondence with their body weight, your height and a little bit related to your gender. Say you take in a concentration of oxycodone of 0,28mg/kg, the effects of this administration should peak somewhere around 55 minutes. About 5 hours later, the effects of this administration should have considerably reduced. Addiction Resource » Addictive Substances: The Anatomy of Drug Addiction » Oxycodone Addiction – A Serious Killer Depressant » How Long Does Oxycodone Stay in Your System?